Atlas of human anatomy is an important teaching tool in the medical community. In the recent years, digital atlases of human anatomy have become popular and hot topics in medical image analysis research field. The basic idea of the digital atlas is to capture the organ variability of its position, shape and voxel intensity (texture) from a training set (either different individuals (inter-patient variability) or the same individual (intra-patient variability)). On the other hand, artificial intelligence (AI) plays important roles in many academic and industrial areas. We constructed computational abdominal models and developed advanced computer-aided detection/diagnosis (CAD) and surgery support systems by combining the models with AI. AI and computational anatomic models can significantly improve the accuracy and efficiency of diagnosis and treatments. In this keynote, I will talk about how AI is used for constructions of computational anatomic models and current progress and futures of computational anatomy and AI in medical imaging. Yen-Wei Chen received the B.E. degree in 1985 from Kobe Univ., Kobe, Japan, the M.E. degree in 1987, and the D.E. degree in 1990, both from Osaka Univ., Osaka, Japan. He was a research fellow with the Institute for Laser Technology, Osaka, from 1991 to 1994. From Oct. 1994 to Mar. 2004, he was an associate Professor and a professor with the Department of Electrical and Electronic Engineering, Univ. of the Ryukyus, Okinawa, Japan. 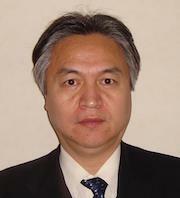 He is currently a professor with the college of Information Science and Engineering, Ritsumeikan University, Japan. He is also a visiting professor with the College of Computer Science, Zhejiang University, China. He was a visiting professor with the Oxford University, Oxford, UK in 2003 and a visiting professor with Pennsylvania State University, USA in 2010. This talk focuses on applying formal reasoning to event planning, goal reasoning, prediction, strategy analysis and decision making based on Model Checking, esp., the process analysis toolkit (PAT). PAT integrates the expressiveness of state, event, time, and probability-based languages with the power of highly optimized model checking algorithms. PAT currently supports various modelling languages with many application domains and has attracted 3000+ registered users from 900+ organisations in 72 countries, including, e.g., AutoNetworks Tech, Toyota, NTT, Mitsubishi, Japan Aerospace eXploration Agency, etc. In this talk, some ongoing and future research projects will also be discussed. Professor Jin Song Dong is the director of the Institute for Integrated Intelligent Systems (IIIS) Griffith University. IIIS has 40 faculty members and 80 PhD students working on AI, Cyber Security, Blockchain, Signal Processing and Machine Learning. Since 1998 Jin Song has been in the School of Computing at the National University of Singapore (NUS) where he received full professorship in 2016. 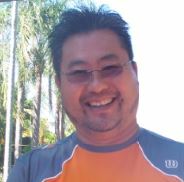 He co-founded Semantic Engineering PTE LTD and the PAT reasoning system. He is the lead Investigator for Singapore-UK joint project on smart grid security and privacy (with Andrew Martin from Oxford University). He is the co-investigator of "A Compositional Approach of Building Security Verified System", "Trustworthy systems from untrusted Components", and Singtel-NUS Cyber Security joint lab (33M USD). Jin Song is on the editorial board of ACM Transaction on Software Engineering and Methodology, Formal Aspects of Computing, and Innovations in Systems and Software Engineering, A NASA Journal. Jin Song has been a Visiting Fellow at Oxford University, UK, and a Visiting Professor at National Institute of Informatics, Japan. He has successfully supervised 25 PhD students and many of them have become tenured faculty members in the leading universities around the world. This talk introduces smart immersive technologies for learning and training, provides examples of educational uses of VR/AR/MR in the fields of professional training, medicine, psychology, STEM, social sciences, sports and so on, concluding with guidelines and recommendations for designing smart immersive educational experiences. Ekaterina Prasolova-Førland is Associate Professor at the Department of Education and Lifelong Learning at the Norwegian University of Science and Technology (NTNU). 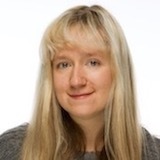 She has been working with educational virtual worlds and immersive technologies since 2002, with nearly 100 publications in the field. She has been involved in developing educational virtual reality simulations for a wide range of stakeholders, from aquaculture industry to the Norwegian Armed Forces. 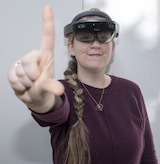 Ekaterina has founded and is leading Innovative Immersive Technologies for Learning (IMTEL) research group and 'Lifelong learning' VR lab at NTNU, as well as '4 campuses 1 reality' initiative with the goal of connecting the distributed campuses of her university with a network of VR labs. She is co-founder of VR Forum Norway and founder of Women in VR/AR Norway and frequently gives public speeches and interviews on immersive technologies for learning and training. She is currently leading the development of innovative VR/AR solutions for the Norwegian Labour and Welfare Administration to assist and empower young job seekers. She is also working on a number of projects on educational applications of immersive technologies in medicine, sports, therapy, career guidance, collaborative work, emergency management and other areas. The digital transformation is the current dominant type of business transformation having IT both as a technology enabler and a strategic driver. The digitization of our society changes the way we live, work, learn, communicate, collaborate, and decide. New business opportunities currently appeared using the potential of the Internet and related digital technologies, like Internet of Things, services computing, cloud computing, big data with analytics, mobile systems, collaboration networks, and cyber physical systems. Enterprises are presently transforming their strategy, culture, processes, and their information systems to become more digital. The digital transformation deeply disrupts existing enterprises and economies and sets the base for new defined digital services with their associated digitized products. Digitization fosters the development of IT environments with many rather small and distributed structures, like Internet of Things. This has a strong impact for the complex process of architecting digital services and products. The change from a closed-world modeling perspective to more flexible open-world and living software and system architectures defines the moving context for adaptable, evolutionary, and resilient service-oriented software approaches, which are essential to enable the digital transformation. This keynote gives an overview of the speaker's research experience with digital transformation supported by original approaches for digital enterprise architecture and decision analytics for managing and architecting digital services and products. Alfred Zimmermann is Professor of Computer Science in the specialty Digital Enterprise Architecture at Reutlingen University, Germany. He is Director of Research and Leader of the Doctoral Program for Services Computing at the Herman Hollerith Center Boeblingen, Germany. His research is focused on digital transformation and digital enterprise architecture with decision analytics in close relationship with digital strategy and governance, software architecture and engineering, artificial intelligence, data analytics, Internet of Things, services computing, and cloud computing. He graduated in Medical Informatics at the University of Heidelberg, Germany and obtained his Ph.D. in Informatics from the University of Stuttgart, Germany. Beside his academic experience he has a strong practical background as a technology manager and leading consultant at Daimler AG, Germany. 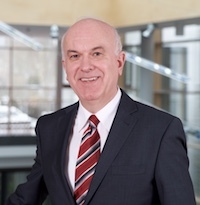 Professor Zimmermann keeps academic relations of his home university to the German Computer Science Society (GI), the Association for Computing Machinery (ACM) and the IEEE, where he is part of specific research groups, programs, and initiatives. He serves in different editorial boards and program committees, and publishes results from his research at conferences, workshops, as well as in books and journals. Additionally, he supports industrial cooperation research projects and public research programs.